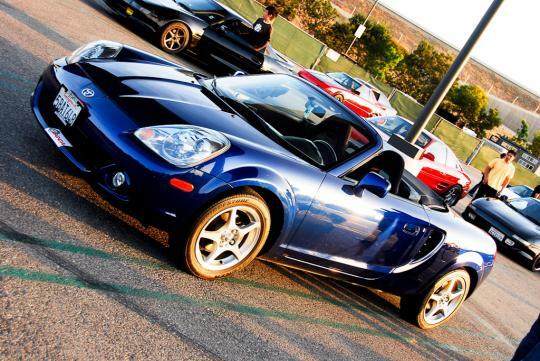 > Toyota MR2-based Bugatti Veyron - Thumbs up or boo? Well, it's no longer a secret that the Bugatti Veyron is the world's fastest production car. With that being said, I can understand why there's a fair number of people in this world who desire to have one example of the supercar of their very own. Unfortunately, such a fast supercar bears a very high price tag and thus, not every single person in this world can afford to buy one. However, this doesn't necessarily mean that there's no solution to it, as in the case of this Toyota MR2. Well, I can say that the owner of the car must really desire the Bugatti Veyron. He prepared everything to make his car completely look like the world's fastest production car ever built. The owner wraps his Toyota with a plastic body kit resembling the body of the Veyron. 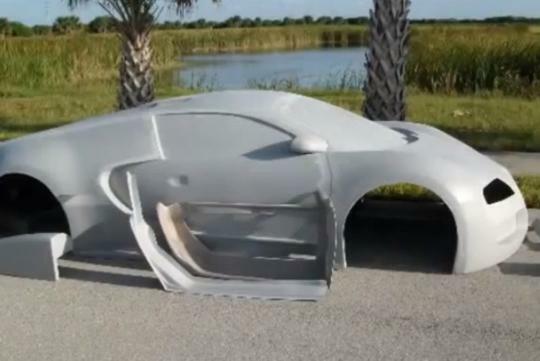 Mind you, the plastic body kit even comes with a fake rear engine compartment as well! Well, I think the owner is quite satisfied with his work. His original Toyota MR2 now looks just like the supercar he's always dreamed of, except for the somehow rather long wheelbase, perhaps. While the owner may have successfully transformed the exterior of his Toyota MR2 into that of the Bugatti Veyron, I wonder how he feels when people notice that the engine doesn't sound as awesome as that of the real W16 engine implanted on a Veyron. But then again, not everyone is aware of how a Bugatti Veyron really sounds, I guess. Although there's no mistake in pursuing one's dream, I would rather stick to the original MR2 or, maybe even better, the owner should have transformed the car into the Toyota MR2 Spyder instead as it will give him a better result, I believe. Look at the bigger picture lah. It shows that the owner is a skilled craftsman who builds a Veyron shell with his own hands. It is not about boosting ego or faking the fame of the Veyron but the joy and passion on building the shell. 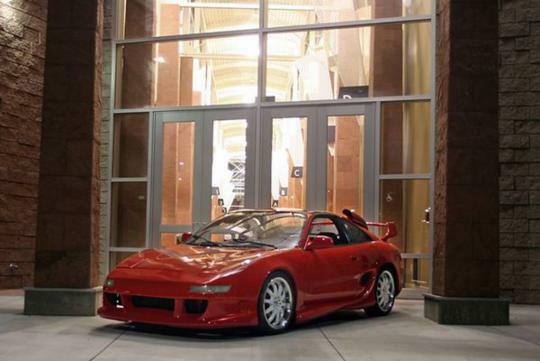 Richie Setiawan, i doubt u can even afford an MR2. By the way, can don't always start your paragraphs with 'Well,'? "Well, it's no longer a secret " "Well, I can say that the owner" "Well, I think the owner is quite "